Our fourth cohort completed its Apprenticeship experience last week, culminating in JuntoNight, where we celebrate their achievement. 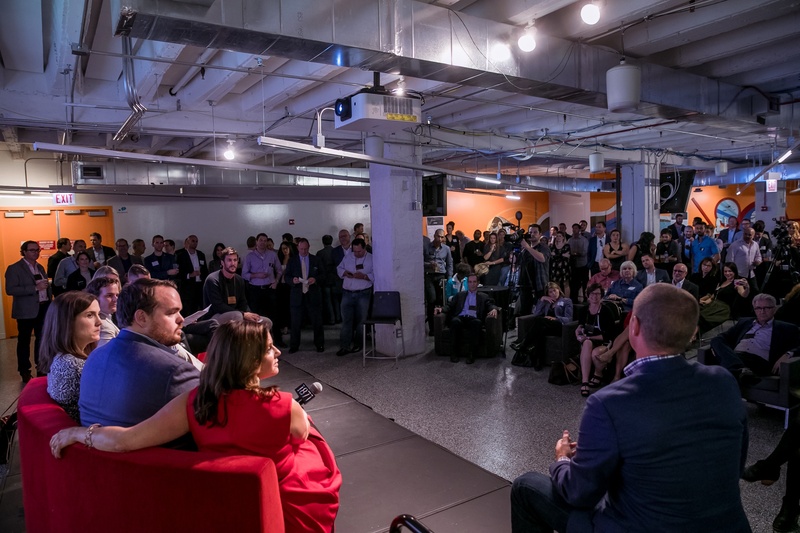 Over 200 people were in attendance at the energetic and emotion-filled event which honored six graduating companies: Arrow Payments, Cristaux, Link Capital, Red Caffeine, ReviewTrackers, and Schlep. 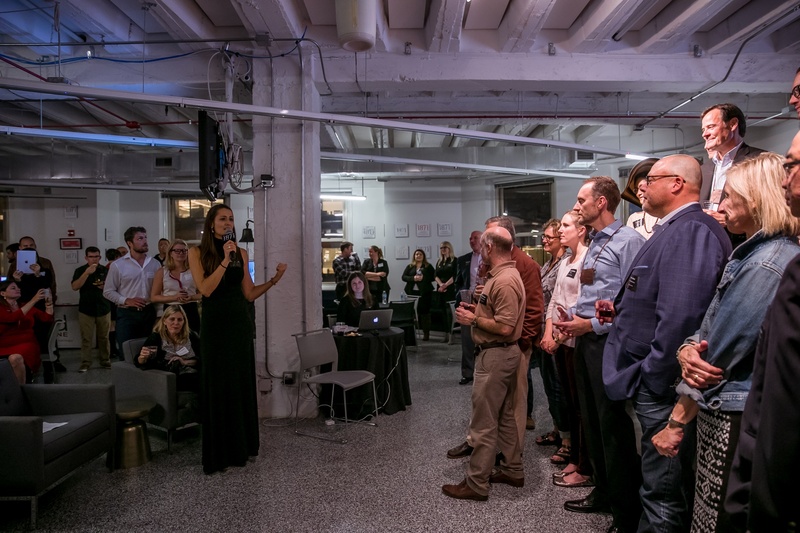 The evening began with an appreciation for the dozens of Mentors, Instructors, and Partners who contributed to the program through their clarifying questions, shared experiences, and lessons learned. This was followed by a panel discussion of the JuntoIV CEOs, during which they shared their experiences going through the program, skills and capabilities they gained, and personal moments of truth. 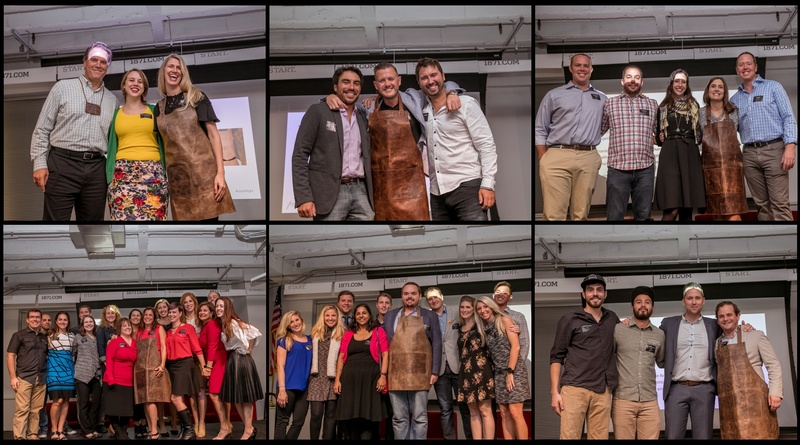 After the panel, the companies received their Leather Aprons, officially marking the completion of their Apprenticeship and induction into Junto's alumni organization, the Leather Apron Club. The JuntoIV cohort was forecasted to grow at an average rate of 122% in 2016 revenues, with an average company size of $1.9 million. All 20 companies that have completed Junto's Apprenticeship program are still in business. Of those, 15 will have revenue growth in 2016, three will have stable revenues, and two will experience a decrease. Over four years, the average annual revenue growth of a Junto graduate company since enrolling is forecasted at 87%, with an average forecasted size of $3.4 million in 2016. The evening culminated with a tradition of JuntoNight: each of the CEOs making their "Asks" of the audience: requests for introductions to potential customers, employees, or investors. "You guys nailed it again last night! The energy, the passion and the people were all riding on the Junto plane last night!!" "What a thrill it was for me to be able to attend the Junto graduation ceremony last night. I always find the success stories of young entrepreneurs to be inspiring, and pass on their stories to others. It all makes me feel that the future of small business in this country is in good hands." "I wanted to thank you for a great evening last night. Congratulations on another successful group of graduates! 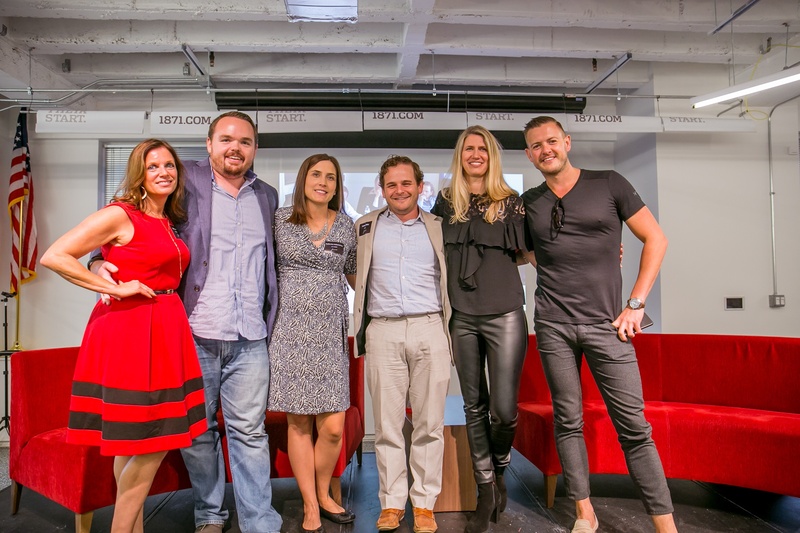 Very well organized event and the story of all the companies success is truly impressive." "Congratulations on the huge success of JuntoNight -- it was such a pleasure to be there and to soak in the inspiration in the room!" More photos from JuntoNight can be seen here.